Laura A. Long is a versatile writer and editor with extensive experience in academic, technical, and general interest subjects. She began her career working the night shift as a copy editor for a metropolitan newspaper, where she went a little crazy but learned to recognize a great story. Her company, Wordsworth Editorial Services provides copy writing, ghost writing, copyediting, proofreading, fact checking, manuscript preparation, document layout and design, and grant writing. Wordsworth clients get lively, concise writing and precise, accurate editing. Laura also has extensive experience refining copy by non-native English-speakers. 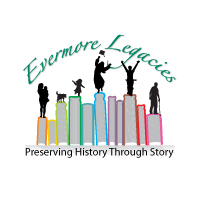 This blog is her first foray into the area of personal histories, as she launches Evermore Legacies as a new business. She has special content expertise in child development, education, family studies, and public policy.